ELA.RL.5.3: Compare and contrast two or more characters, settings, or events in a story or drama, drawing on specific details in the text (e.g., how characters interact). ELA.RL.5.2: Determine a theme of a story, drama, or poem from details in the text, including how characters in a story or drama respond to challenges or how the speaker in a poem reflects upon a topic; summarize the text. ELA.RL.5.1: Quote accurately from a text when explaining what the text says explicitly and when drawing inferences from the text. ELA.RL.5.5: Explain how a series of chapters, scenes, or stanzas fits together to provide the overall structure of a particular story, drama, or poem. ELA.RL.5.4: Determine the meaning of words and phrases as they are used in a text, including figurative language such as metaphors and similes. ELA.RL.5.6: Describe how a narrator's or speaker's point of view influences how events are described. ELA.RL.5.9: Compare and contrast stories in the same genre (e.g., mysteries and adventure stories) on their approaches to similar themes and topics. ELA.RL.5.10: By the end of the year, read and comprehend literature, including stories, dramas, and poetry, at the high end of the grades 4-5 text complexity band independently and proficiently. ELA.RI.5.6: Analyze multiple accounts of the same event or topic, noting important similarities and differences in the point of view they represent. ELA.RI.5.9: Integrate information from several texts on the same topic in order to write or speak about the subject knowledgeably. ELA.RI.5.7: Draw on information from multiple print or digital sources, demonstrating the ability to locate an answer to a question quickly or to solve a problem efficiently. ELA.RF.5.3: Know and apply grade-level phonics and word analysis skills in decoding words. 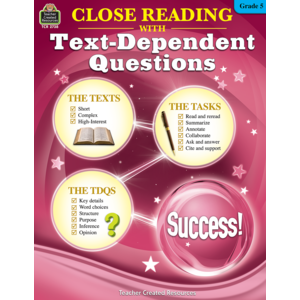 ELA.RF.5.4: Read with sufficient accuracy and fluency to support comprehension. ELA.W.5.2: Write informative/explanatory texts to examine a topic and convey ideas and information clearly. ELA.W.5.1: Write opinion pieces on topics or texts, supporting a point of view with reasons and information. ELA.W.5.3: Write narratives to develop real or imagined experiences or events using effective technique, descriptive details, and clear event sequences. ELA.W.5.7: Conduct short research projects that use several sources to build knowledge through investigation of different aspects of a topic. ELA.W.5.9: Draw evidence from literary or informational texts to support analysis, reflection, and research. ELA.W.5.8: Recall relevant information from experiences or gather relevant information from print and digital sources; summarize or paraphrase information in notes and finished work, and provide a list of sources. ELA.W.5.10: Write routinely over extended time frames (time for research, reflection, and revision) and shorter time frames (a single sitting or a day or two) for a range of discipline-specific tasks, purposes, and audiences. ELA.SL.5.1: Engage effectively in a range of collaborative discussions (one-on-one, in groups, and teacher-led) with diverse partners on grade 5 topics and texts, building on others' ideas and expressing their own clearly. ELA.SL.5.3: Summarize the points a speaker makes and explain how each claim is supported by reasons and evidence. ELA.SL.5.4: Report on a topic or text or present an opinion, sequencing ideas logically and using appropriate facts and relevant, descriptive details to support main ideas or themes; speak clearly at an understandable pace. ELA.SL.5.6: Adapt speech to a variety of contexts and tasks, using formal English when appropriate to task and situation.